DHARAMSHALA, FEB 6: Noted Tibetan singer known for popular Tibetan song 'Nga miyul Dogoe, Semchen ki ley rey" depicting communication between the Pachen Lama and exiled Dalai Lama from the popular album Trinkhor series, has died on Feb. 4, on the eve of Tibetan new year 2146. Tawo, Lobsang Palden was born in 1951, in Kham, Tibet. After the Chinese invasion of Tibet, he fled his homeland with his parents. He attended the St. Augustine school in Kalimpong for 2 years and then joined the Tibetan Refugee School in Simla. In 1963, at the age of 12 he left India for Germany together with some other Tibetan children. His first Trinkhor album released in 1985, introduced a fusion of western and traditional Tibetan music and became an instant hit among Tibetans both inside and outside Tibet. In Germany he finished his college and studied medicine at the University of Heidelberg. 1979 he finished his studies and worked as a medical doctor in the internal medicine in different hospitals. In 1983 he joined the state hospital in Lüdenscheid, which is affiliated with the university of Bonn, as a senior doctor. 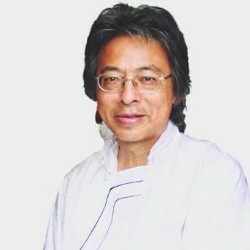 He is married to Choeni Lhamo since 1973. His childhood was very much influenced by the nomadic Kham music. He learned his first songs from his parents, who both came from Kham-Tawo. During his school time in Germany he learned classic violin for 6 years, guitar and also the Tibetan dramnyen (lute) and flute. But his real passion was song-writing and singing. In the whole he wrote more than 40 songs, some of them becoming evergreens. In 2012, his band was “banned” from performing at the One World Concert at Syracuse University in America, where the Dalai Lama was a panelist. Tibetan Netizens expressed shock and regret over the passing away of Palden, who was also an initial candidates for the first ever elections for the head of Central Tibetan Administration. Palden gave talks on medical related topics on various groups on social networking sites like WeChat in Tibetan language.